Has Marvel bagged another unexpected star for The Sorcerer Supreme? Jeff Sneider, writing for reliable Hollywood news site The Wrap, is reporting that "multiple individuals close to the casting process" have told him that actor Joaquin Phoenix is extremely close to being chosen as the titular lead of Marvel Studios' Doctor Strange. Scott Derrickson (Sinister, Deliver Us From Evil) is directing the film, which is expected to be a big presence on Marvel's SDCC panel Saturday evening. Phoenix has consistently been among the actors most heavily rumored for the sought-after role, along with Justin Theroux, Benedict Cumberbatch and Tom Hardy. Created in 1963 by Stan Lee and Steve Ditko, Doctor Strange is a neurosurgeon who becomes a master of sorcery to protect humanity from demonic forces. 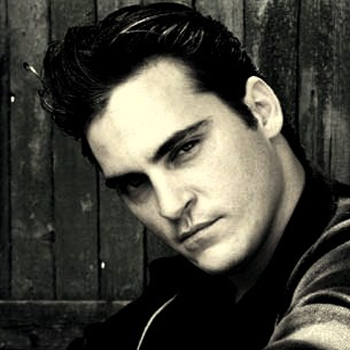 If he accepts the role, it would mark a new career/visibility high point for the mercurial star; who was nominated for an Academy Award for 2005's Walk The Line but spent the years immediately after wracked by scandal involving substance abuse and erratic behavior - some of which was later said to be part of a public prank promoting the Casey Affleck film I'm Still Here - before reemerging to critical acclaim in Paul Thomas Anderson's The Master.